If you have a vision for a ring we’d love to share it with you. Together we can make your dream ring a reality, by customising your unique design to symbolise a life-long promise that you will treasure forever. We offer you expert advice from our experienced team who will be focused on you – free of charge. Our designers, gemmologists and jewellers will create your unique ring considerate of your budget. Nothing is too much of a challenge – no job too big or too small. Whether you want to remodel an existing design, or create a breath-taking ring like no other, we’ll show you how enjoyable designing with us can be. At Andrew Mazzone Design Jeweller we pride ourselves in the art of listening. Because by listening to what you want – what you envisage, we’re sure to delight by creating jewellery that is as unique as you are. Whether it’s creating a flirtatious piece to complement a special dress, or a gift of love for the most personal occasion, with our talented team of designers and gemmologists, you can expect the unexpected. We are masters at applying innovative, contemporary and traditional techniques to both modern and vintage designs – at a price you can afford. Designing your ring with Andrew Mazzone Design Jeweller is going to be a fun experience. Just follow this easy 5-step process and together we’ll make it exciting and brilliant! A complimentary consultation – brilliant! Gather sources of inspiration and bring them along with you. From your photos and sketches we’ll explore real possibilities. We’ll share our knowledge of gem quality, precious metals, fit and comfort – and because our consultation is free, it will help your budget. This is an exciting step as you watch our talented designer sketch your beautiful ring to scale. It’s a free design service too, which is another welcome aspect of your personal consultation. Together we’ll watch your unique design come to life, before your final approval of your perfect ring. If your design is a little more complex, we also offer CAD (computer aided design), which shows the intricate detail of your piece of jewellery in a three-dimensional full colour photo-realistic image. Together we can alter rendering, to make sure that your design is exactly as you imagined it. Now we take your design and turn it into the precious metal of your choice – gold, silver, pure platinum or palladium. Depending on your style, for a striking option, consider a combination of metals. This is where the talent of the skilled gem setters comes in. They take thier time to meticulously set each stone by hand, to precise specifications. Using setting techniques micro-pavé, pavé, channel, bead or claws, it’s an art that takes extreme care, ensuring quality work that is unsurpassed. 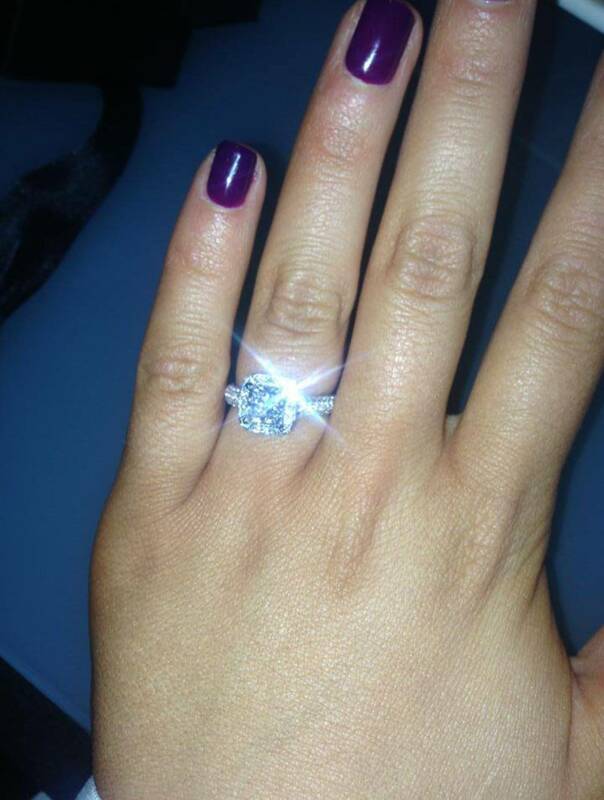 This is the last exciting step, where we make sure your ring is a shining example of perfection. We study the finished piece in detail, ensuring that every step of our custom making process has been adhered to, before we present a ring we know you will love forever. I would highly recommend Andrew Mazzone design jewellers, they helped me create something perfect, no matter how many times I changed my mind they were always there to help! I have received so many compliments about my engagement ring and couldn’t be prouder to wear a piece of his unique jewellery.